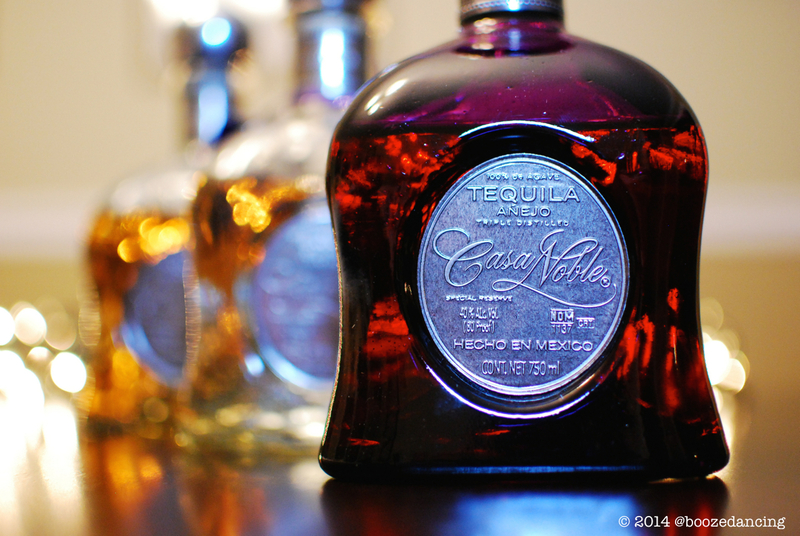 The Boozedancing Crew brought me in to put my own twist on how I would drink the Casa Noble Tequilas. G-LO handled the tequila tasting notes and bottle shots, and I’m going to jump in with how I enjoyed the tequilas. I made a couple of cocktails and paired them with some “tapas,” because if you’re gonna drink, and you don’t want to have a “never drinking tequila again” night, you gotta eat! Aroma: Citrus oil. Fresh cut grass. White pepper. Witch hazel. Taste: Much softer than expected, with a touch of peppery spice in the beginning. 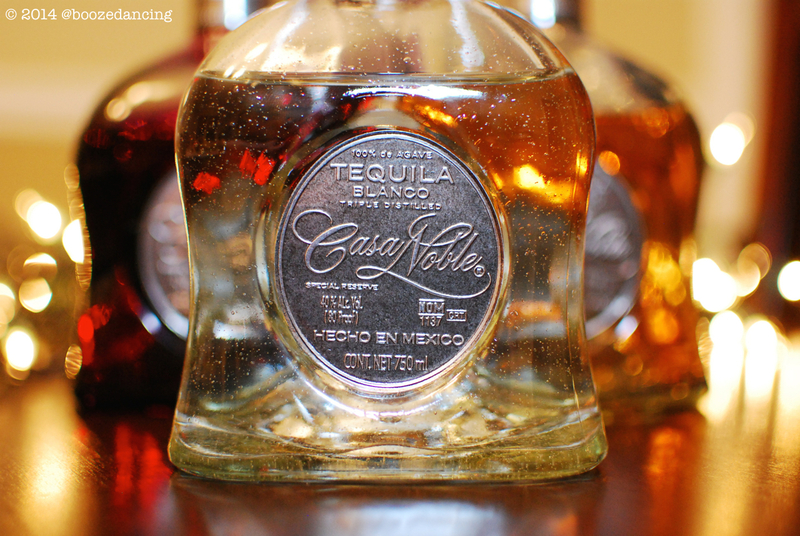 At mid-palate it transitions to a vanilla sweetness that carries you through to the finish. Peppery spice comes back at the end along with that vanilla and a hint of citrus. 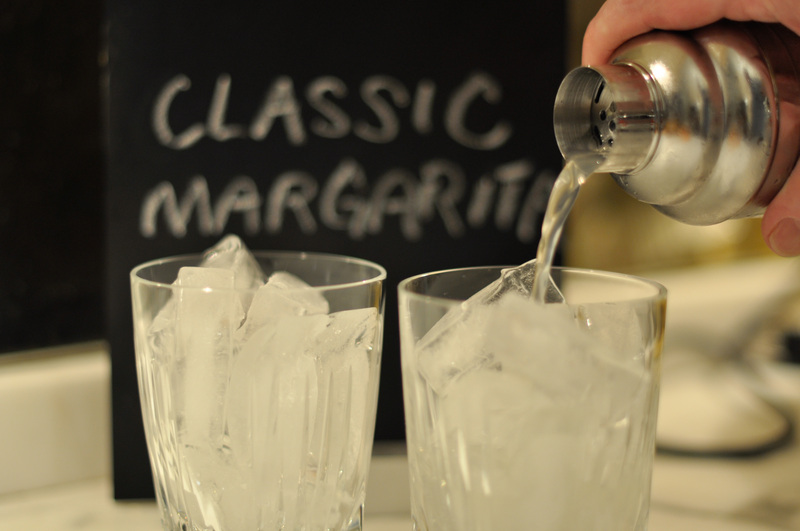 I totally agree with G-LO’s notes on this one, and that’s why I chose it to make a classic margarita. 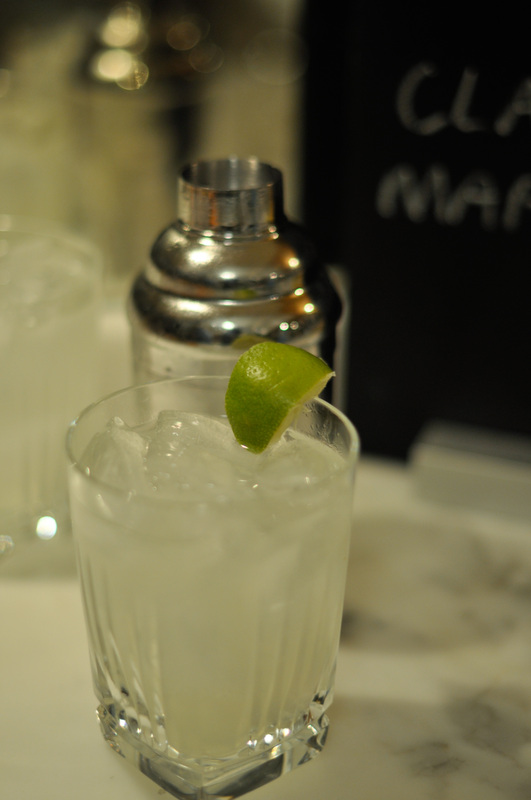 I really like how the agave flavors held up to the lime and Cointreau. Salt on my glass? No, thank you. 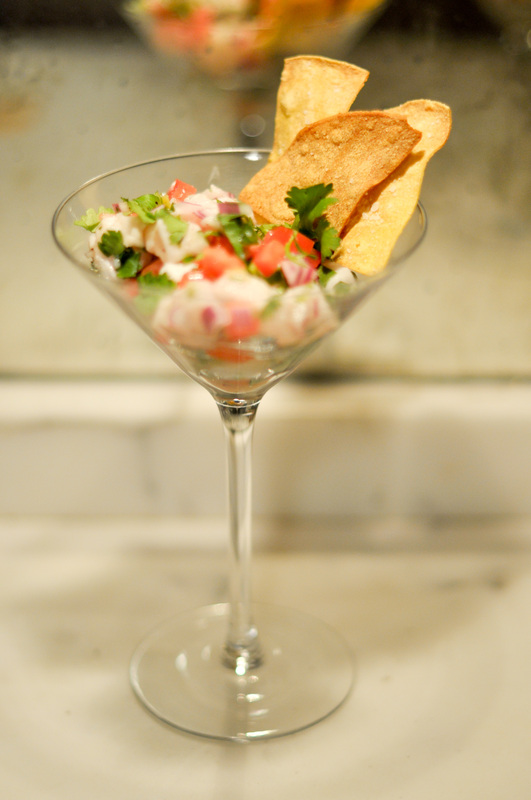 And since it was such a crisp, clean flavor I paired the margarita with nice, light, red snapper ceviche. It didn’t overpower the ceviche at all and was really refreshing. Salt on my chips? Yes, please!! This is how you have salt with a margarita. Aroma: Vanilla buttercream. Pipe tobacco. Eucalyptus. Citrus. Taste: So so mellow! Creamy and buttery mouthfeel with lots of vanilla at the onset. Pipe tobacco and a mild pepperiness kicks in at mid-palate. The finish brings it all together, i.e. vanilla, tobacco, pepper, and a bit of lime zest. I got a little more creative with this one and found a recipe for a cocktail called the Rosa Maria from the Schiller’s Liquor Bar cocktail book. 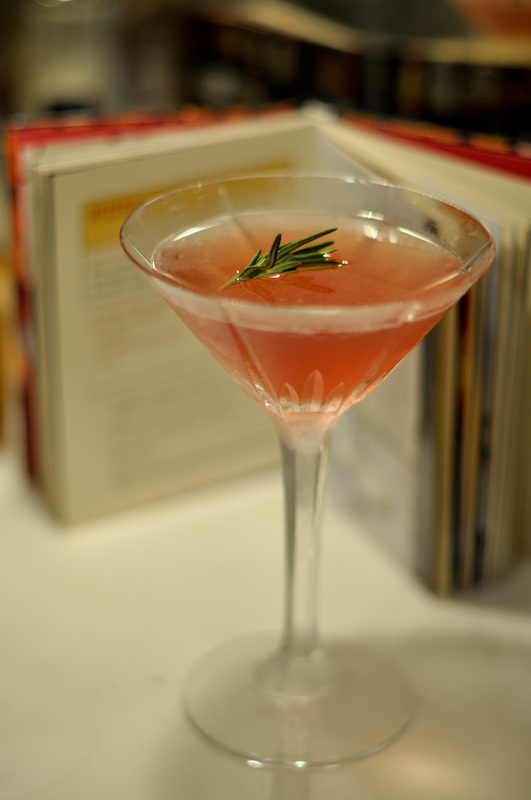 The cocktail is made with pomegranate juice and rosemary which kind of overpowered the tequila, so how did I fix that? Add more tequila! I paired it with lamb chops marinated in lime, garlic and rosemary. 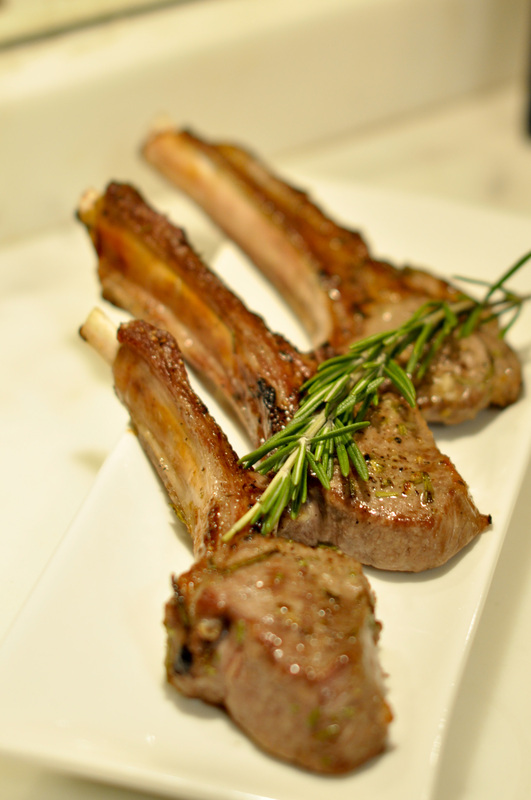 Don’t you just want to gnaw on those lamb bones? I do, and did. 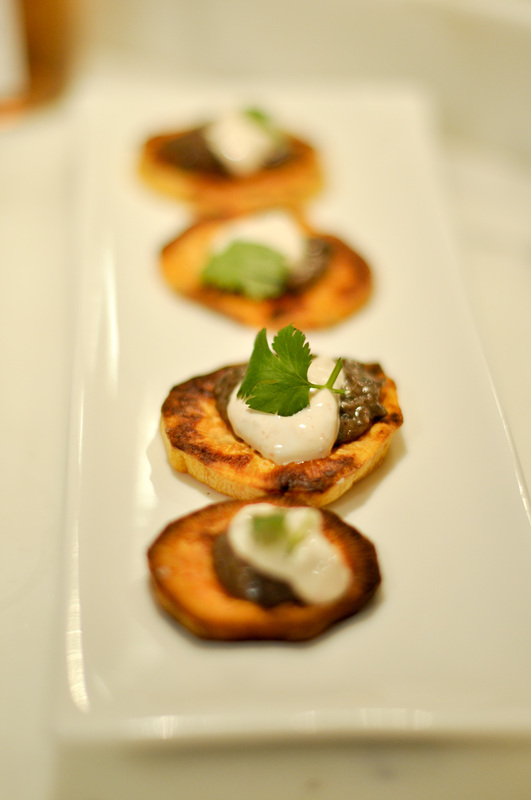 I also made these little sweet potato bites topped with black bean dip and chipotle creme. We drank the Reposado neat with these and it was excellent! Those mellow, vanilla-y flavors worked so well with the sweet potato and the spice from the chipotle crema. Appearance: Pale amber with a light brown hue. Aroma: Not nearly as fragrant as the Reposado. Vanilla. Mellower tobacco notes. Light brown sugar. Perhaps a hint of clove too. Taste: Can it get more mellow? Yes. Yes it can! No harshness at all. Light brown sugar and vanilla to start, with a hint of mild cinnamon heat at mid-palate. Mellow, mildly sweet finish with some herbal notes coming through in the aftertaste. At this point, it was late and I was done cooking but still had to pair the Anejo. I like chocolate and whisky so I thought, why not pair this with some chocolate? 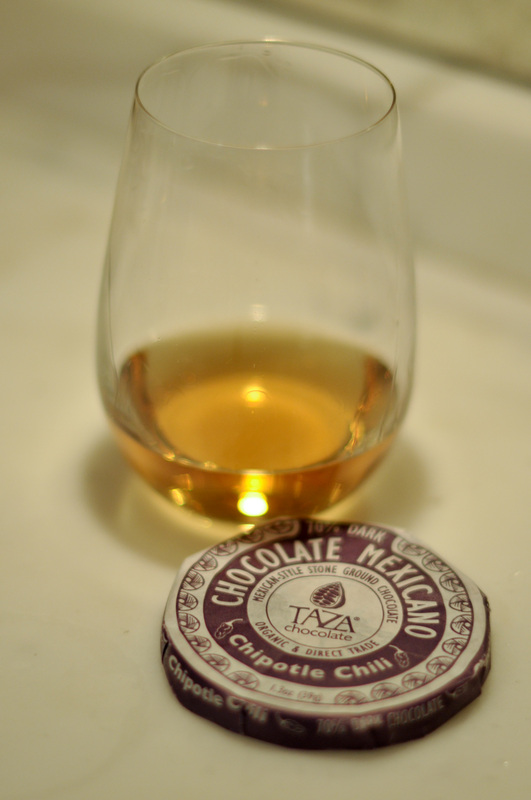 I had some Taza Mexican chocolate flavored with chipotle chile that I got in the swag bag from Whisky Jewbilee. Could I have found a better chocolate to pair with tequila?? Nope. What was really nice about pairing this with the Anejo was that it brought out the agave flavors at the beginning, then moved to vanilla and ended with a long lingering spicy finish that I loved. While he definitely enjoyed all tres expressions, he said that the Crystal was his favorito with the Reposado coming in segundo. He thought that the Anejo was far too mellow for his taste since it lacked the prominent agave flavors that he craves whenever he drinks tequila. (I need to get him to try it with that chocolate and see if he changes his tune.) Using Scotch whisky as a reference point, he compared the Anejo to drinking an older smoky Islay whisky, i.e. aging a heavily peated whisky diminishes the peat smoke flavors in a big way. G-LO’s advice: If you like the taste of peat, stick with younger Islay whisky expressions. 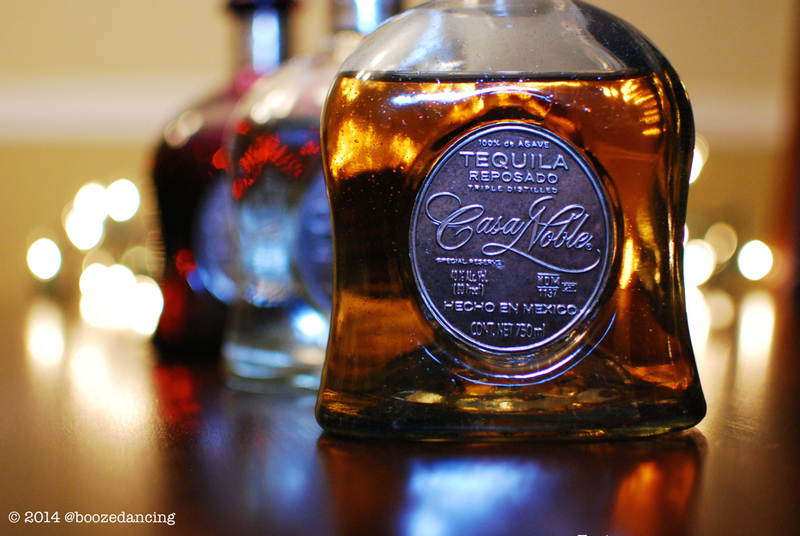 If you like the taste of Agave, stick with Silver or Blanco Tequilas. 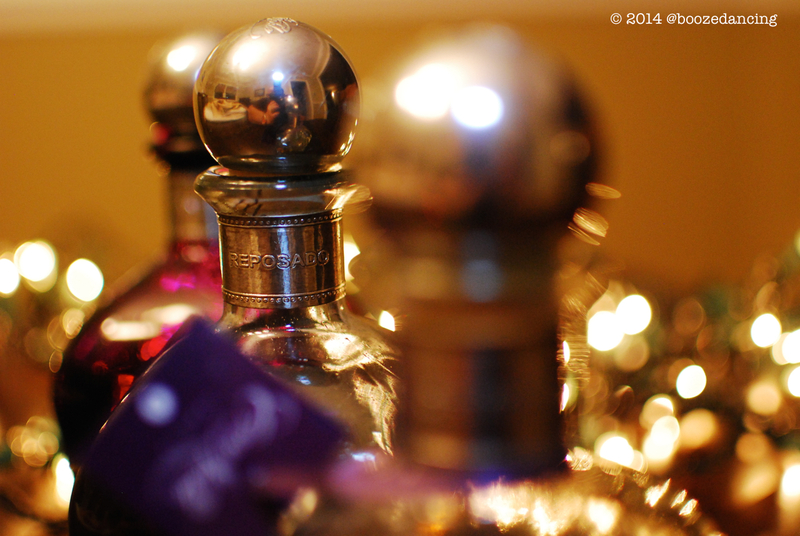 And if you’re a middle of the road kind of Tequila drinker, then the Reposado is what you should be drinking. Many thanks to Casa Noble Tequila and The Baddish Group for hooking us up with these very generous samples! Nicely done Sarah! Love the pics and the food looks SPECTACULAR! Thanks for pulling this all together. ALOHA! Wow!! Love these pairings! It all looks great! Did you make the chips with dip topping? I want recipe! Sounds fun!